On April 4, 68-year-old Rick Records' heart stopped beating. Now, he is alive and recovering thanks to the efforts of two Idaho State Police troopers. "It's exciting to be a part of something of this magnitude. Of something this special," said Senior Trooper LaLande. 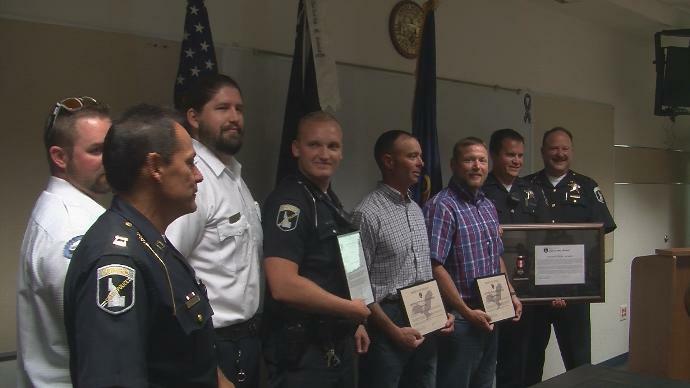 Loved ones surprised troopers Jason Lalande and Kirill Fomin at Idaho State Police headquarters in Jerome as they were honored by the department. Lalande was given the ISP Life Saving Award while Fomin was given a letter of commendation. "I was surprised that my family was here. They were actually telling us that we were going to be doing something completely different," Fomin said. Back in April, the two were involved in saving the life of Washington state resident Rick Records. "It feels good. I'm glad that he's going to be OK," Fomin said. The 68-year-old was at producers livestock in Jerome when his heart stopped. Lalonde and Fomin responded. "It could have been tragedy," Lalonde said. But both gave credit to two Producers employees for starting CPR before they could get to the scene. "Starting resuscitation efforts immediately, they basically gave this gentleman back to his family," Lalonde said. For their efforts, Levi Robertson of Meridian and Todd Rice of Jerome received citizen awards from the department. "I played my role the same as everybody else did, but I think the two of them should be held in the highest esteem because they gave everybody else something to work with," Lalonde said. But neither man said they felt like a hero. "You can put the hero stamp on it, or whatever you want to do, but it's probably bigger than we can all really imagine it to be," Robertson said. They said they feel like the troopers, happy to have been there to help. "You just kind of do what needs done and then you think about it later and we're just grateful he made it," Rice said. The Records family weren't able to be there Monday, they're back in Washington while Rick recovers, but they sent a letter thanking the men who helped save their husband, father and grandfather. The Missouri Highway Patrol's 27 newest troopers were reminded Friday their new lives will be much different from their old ones. "In the past 26 weeks, recruits, you have undergone grueling training, endured exhausting hours and endured vast amounts of information," Attorney General Josh Hawley noted. 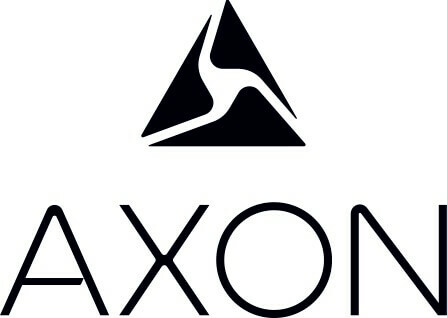 "You have endured, and now you have the honor of being part of this prestigious company. "But today represents an end to something more, recruits — it represents an end to your life as a private citizen." As servants of the public, Hawley added, "the men and women of our state will depend on you, look to you, trust you to uphold one of the most precious inheritances we have as Americans — the rule of law." 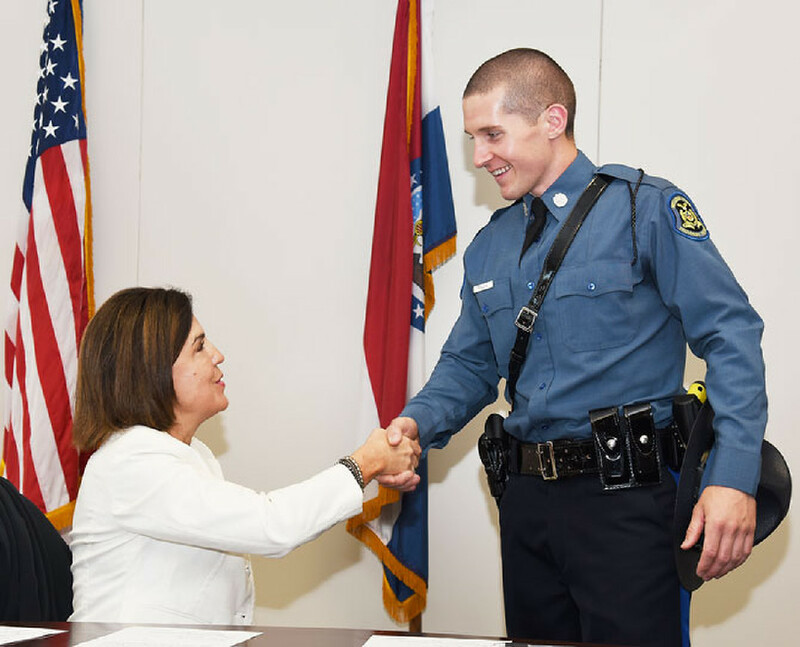 Superintendent Sandra Karsten, who joined the patrol in 1985 as part of the 57th Recruit Class, told the graduates of the 104th class: "Today, you're making a promise not only to represent yourself, but every trooper in the entire Missouri State Highway Patrol. "You are representing the people of the state of Missouri. "In and out of uniform, know that you've worked hard to wear it and that you hold the public trust and that you're held to a higher standard." The attorney general explained the difference: "A career is pursued for the good of the person who performs it. A vocation is work that benefits the good of all (and) is a calling, a summons to serve — to use one's talents and skills and effort to make better the lives of those with whom you live, and to make better the place that you call home." In his nearly seven-minute keynote address, Hawley referred several times to the importance of the rule of law as the basis of American society — and reminded the new troopers they will play an important role in keeping the rule of law working. "Your calling is to ensure that fear and terror do not rule the day, but that peace and security, afforded by our laws, is available to people indiscriminately. Your calling is to protect the weak, the vulnerable, the oppressed among us." But, while upholding the law, Hawley reminded the new troopers life won't always be easy. "(Your calling) includes those who use the liberties granted by your protection, to treat you with scorn, to treat you with contempt — even hatred sometimes," the attorney general said. "It's no secret that we live in a moment in our nation's history when the rule of law and those who uphold it have become targets, subject to intense scrutiny, subject to intense back lash, even derision. And I'm afraid to say, you will most likely not be exempt from this trend." Cadet Commander Evan Macomber, of Lebanon, reminded his classmates "we are defined by the public's perception" of previous Highway Patrol troopers they've met, and the bar has been set high for the new class as they head into their new jobs. Brant Masek, of Fulton, was the only Mid-Missourian in the class. He's being assigned to work in Franklin County, which is part of Troop C. None of the 27 new troopers were assigned to Jefferson City-based Troop F. Karsten reminded the graduates to rely on all the points of their training, including: "Never stop learning, never stop training (and) never stop planning for the what-if situations you may encounter." She urged the new troopers to remember the basics, such as watching the hands of the people they deal with in traffic stops and other situations, "never assume anything, never turn your back on traffic — and always be ladies and gentlemen who enforce the law." And, she said: "Remember what makes a trooper is not the Glock or the Taser on your gun belt. It's not the uniform or the campaign hat — but a cause worthy of sacrifice. Our mission of service and protection gives each of us something worth sacrificing for." Celebrating his commitment to maintaining the New Jersey State Police as one of the nation’s premier law enforcement agencies, Governor Chris Christie on June 23 commended New Jersey’s 148 newest state troopers during graduation ceremonies at the National Guard Training Center in Sea Girt. The 157th New Jersey State Police Class is the seventh new class trained since 2010. “These men and women will join the finest law enforcement agency in the country – the New Jersey State Police -- and continue the proud tradition that exemplifies leadership and service in protecting and safeguarding the residents of our state on the roads, in their communities, and in their homes,” said Governor Christie. “Having completed their rigorous training, they are now prepared to join the more than 2,600-trooper force that serves our state, conducting not only general policing duties and highway and traffic enforcement, but playing major roles in preparing for, responding to, and recovering from major emergencies and disasters and performing counter-terrorism duties.” Governor Christie has repeatedly supported the State Police and its mission, consistently allocating funding for new trooper training in his annual spending plans. The current fiscal year budget and proposed Fiscal Year 2018 budget anticipate the recruitment and training of the 158th trooper class as well as money for recruiting the 159th class for 2019. 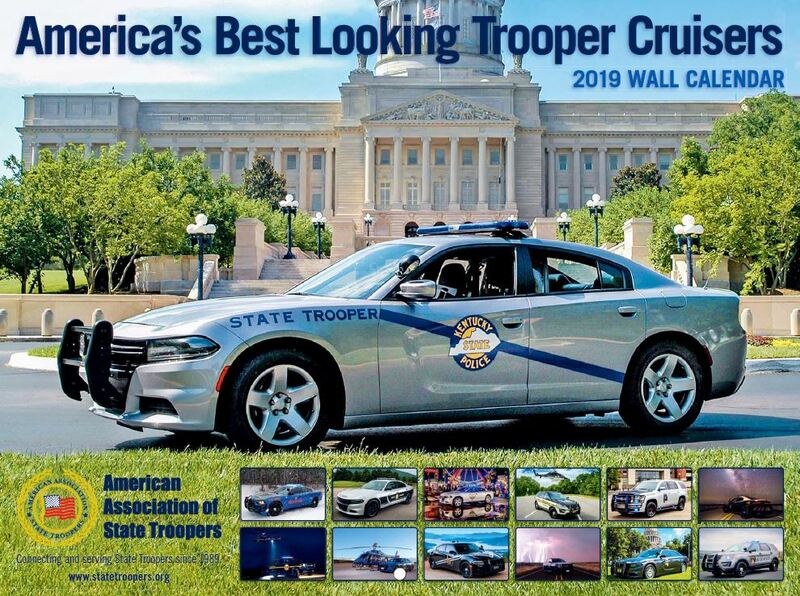 Those classes are expected to increase the state trooper level to its highest since the beginning of this Administration. In addition, the FY 2018 budget provides for new forensic positions in response to the pretrial detention constitutional amendment for bail reform. The 157th New Jersey State Police Class graduated 145 men and three women troopers. Of this graduating class, more than 77 percent have a Bachelor's Degree or higher, 47 percent played college sports, and 18 percent have prior law enforcement experience. Also, among the class are 13 firefighters, 10 former military, nine Emergency Medical Technicians, eight personal trainers, seven teachers and six Eagle Scouts. The class completed 24 weeks of strenuous physical and academic training consisting of classroom lessons and practical training scenarios. The recruits participated in extensive training and role-playing exercises focused on motor vehicle stops, domestic violence situations, and cultural diversity. In the area of cultural diversity, the trooper recruits received detailed instruction from community and cultural organizations. The New Jersey State Police Training Academy is one of the few residential academies in the nation. Recruits report to the academy before dawn on Monday morning, and they do not return home until dismissal on Friday evening. Therefore, recruits are away from their families during significant life events. During this academy class, five recruits got engaged, one recruit got married, and four children were born. The probationary troopers have been assigned to stations throughout the state, and over the next few months, the new troopers will begin their careers under the watchful eye of their Trooper-Coaches and supervisors. "I commend the graduates of the 157th New Jersey State Police Class on joining an elite police force that is second to none across the nation,” said Attorney General Christopher Porrino. “It takes special courage and dedication to earn your badge as a state trooper. I wish you all long, safe and rewarding careers in this honorable profession." 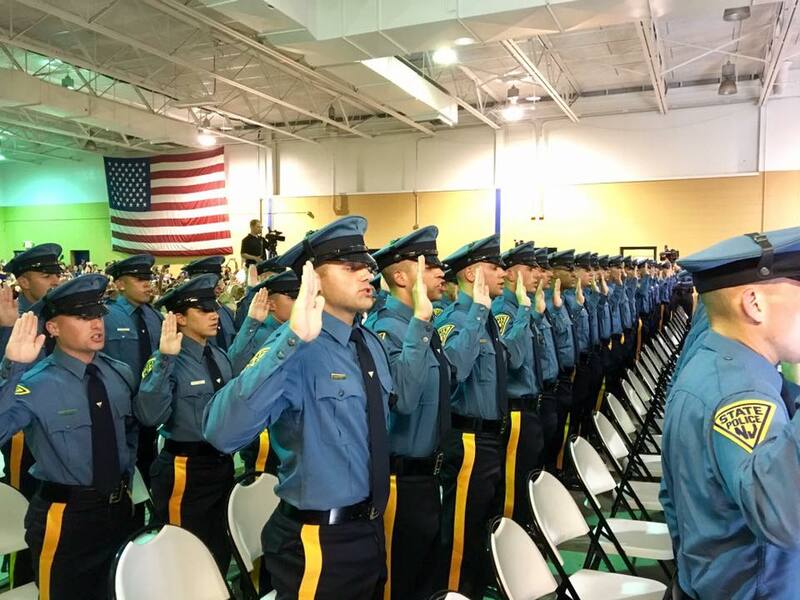 "Today, we welcome 148 men and women into the State Police family after completing one of the most intensive and difficult law enforcement training academies in the country," said Colonel Rick Fuentes, Superintendent of the New Jersey State Police. "The investigative techniques and tactics that the troopers of the 157th Class learned over the last six months will remain with them throughout their careers and beyond, as will the bond between classmates. State Police said they were among eight state police and highway patrol agencies that spend Friday, June 9 - Sunday, June 11 enforcing Operation Border to Border along 791 miles of U.S. Route 15 and 124 miles of U.S. Route 17 in an effort to prevent traffic crashes along the heavily-traveled corridor. 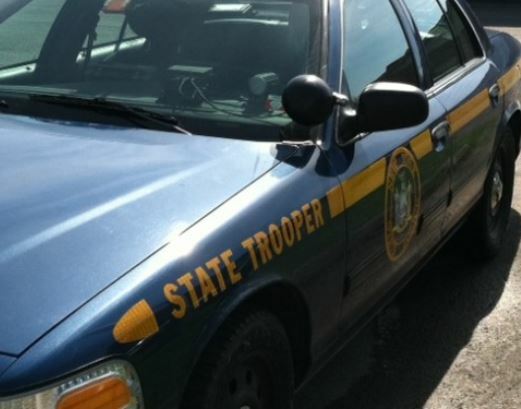 State Police said the coordinated traffic safety enforcement initiative resulted in 3,017 total summonses and arrests among the seven states. There were also zero fatal traffic crashes along either highway corridor during the enforcement effort. State troopers from Florida, Georgia, New York, North Carolina, Maryland, Pennsylvania, South Carolina, and Virginia worked together by conducting saturation patrols, sobriety checkpoints, commercial vehicle inspections and other enforcement initiatives to reduce traffic crashes and combat criminal behavior along the non-interstate highways. 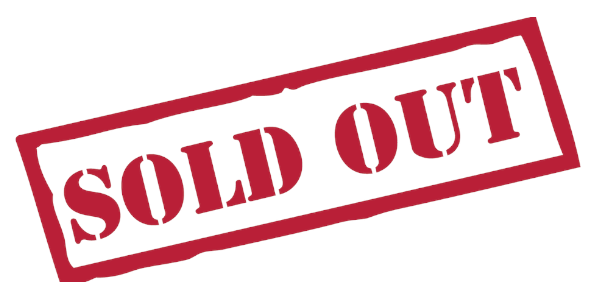 Virginia State Police said 835 of those summonses and arrests came from our state in the counties of Loudoun, Prince William, Warren, Culpeper, Madison, Orange, Louisa, Fluvanna, Buckingham, Prince Edward, Charlotte and Halifax. 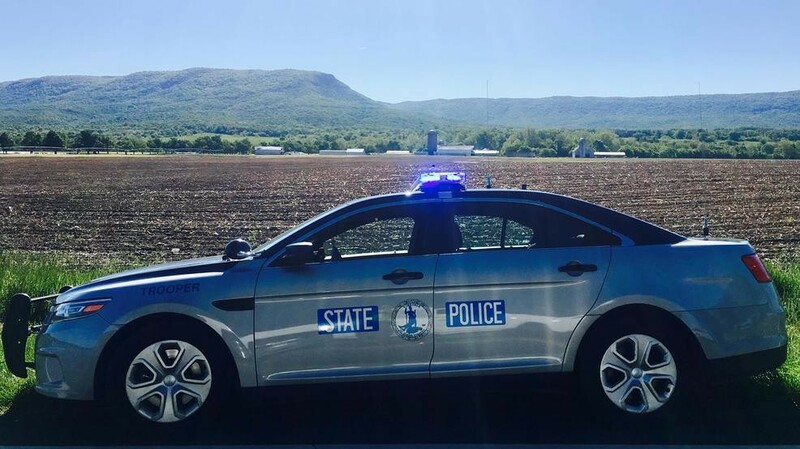 “Once again, the Virginia State Police was proud to partner with fellow state police and highway patrol agencies with the common goal of saving lives along the Route 15 and Route 17 corridors,” said 1st Sgt. A.D. Blankenship, Area Commander of the Virginia State Police in Loudoun County. “Taking 25 drunken drivers off the highway, slowing down almost 1,300 speeders and buckling up more than 470 children and adults translates into countless lives saved. And, that’s what this initiative is all about – getting the public to recognize the importance of driving to save lives through such proactive actions as buckling up, driving free of distractions, complying with posted speed limits and never driving impaired by alcohol or drugs.” Funds generated from summonses issued by Virginia State Police go directly to court fees and the state’s Literary Fund, which benefits public school construction, technology funding and teacher retirement. State Patrol to target left lane "campers"